So there are a few people out there who have made themselves the book police. Always ready to point out what qualifies as a book and what does not. 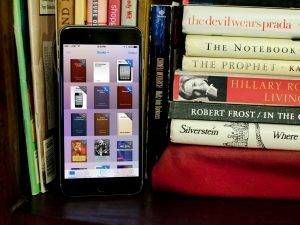 For some, books like instruction manuals, cookbooks, art and craft books, maps and many that fall under such categories do not even qualify as books. But as far as reading is concerned, these types of books are also known to impact the societies, and they impart fundamental skills and knowledge. Image analysis gets improved when reading such books. When one reads books that have images and require information to be extracted from them, it helps train an individual to analyse an image critically. It is entertaining: These books are easy to read. They are a pleasant break from the usual heavily worded books that are sometimes boring to read. They are a lot of fun and very engaging. You will discover a knack for a particular hobby: Reading books such as art and craft books, DIY manuals, knitting books, coding books and many others will help you to discover your talent in something or the other. It might also be a door to greatness in a career. The revival of mapping and its components: In a time where using GPS is the most common way of getting directions, it is beneficial for today’s generation to learn about maps. Keys and legends will be quick work for them giving hope to old souls. Discipline in following guidelines: It can be hard to follow instructions to the T but to make a successful project, a reader will be required to follow the directions given step by step. It involves a lot of discipline for one to be able to do so without the urge to skip something that seems useless. This especially applies to cooking recipes or a Do It Yourself (DIY) instruction manuals. If you want excellent results then following the instructions dedicatedly should be a must.